Mrs. Fannie Altman of 153 Milnor Ave. died this morning in University Hospital, after an illness of several months, Mrs. Altman is survived by two daughters. Miss Irene Altman and Mrs. Earl E. Hart of Syracuse; three sons, Jesse S. and Edward Altman of Syracuse, and Andrew Altman of Potsdam; one sister, Mrs. Mary Benjamin of Erie, Pa.; one brother, Myer Voit of Syracuse, and seven grandchildren. Funeral services will be conducted in the Birnbaum Funeral Home Sunday at 2 P.M , the Rabbi Stuart Rosenberg, assisted by Cantor Samuel Arluck, officiating. 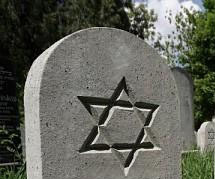 Interment will be in Adath Yeshurun Cemetery.